For the past five years, The Center has been one of ten sites around the country funded to develop faith-based strategies for reaching vulnerable and hard to reach populations with flu prevention information and vaccine. We have partnered with the Chicago Area Immunization Campaign, the Chicago Department of Public Health and the Cook County Department of Public Health to bring together all our resources to support faith communities as trusted places for people to learn about flu prevention and get vaccinated. We have held flu clinics in churches and community settings, inventoried congregations serving refugees and vulnerable immigrants, and partnered with others to coordinate faith-based flu prevention efforts across the region. Take good care of yourself–get enough rest, eat well, drink plenty of fluids, manage your stress, laugh often, nurture your relationships. Be sure to check out our flu prevention messages in different languages that are shared by faith leaders in the Chicago area. Most recently we have been exploring trust as a key barrier in the African American community to accessing existing health promotion resources. Our funders and partners are the Interfaith Health Program (IHP) at Emory University, the Centers for Disease Control and Prevention (CDC) and the Association of State and Territorial Health Officials (ASTHO). 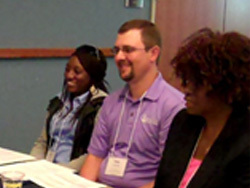 IHP, in partnership with ASTHO, has published a resource guide and toolkit, Public Health and Faith Community Partnerships: Model Practices to Increase Influenza Prevention Among Hard-to-Reach Populations. Get a copy of the Toolkit here. 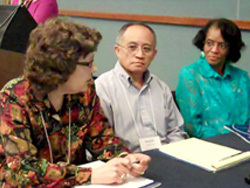 The Model Practices Framework provides strategies to identify and engage faith-based organizations as partners in community health promotion and disease prevention outreach. 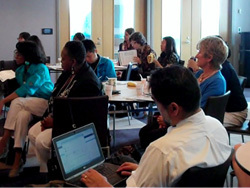 The Center was part of the group that worked with IHP and ASTHO to describe practices that uniquely engage the strengths of faith-based organizations as partners in addressing health equity. 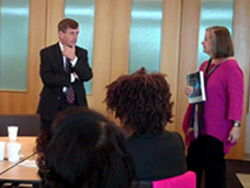 See photos from our most recent trip to Atlanta to participate in meetings with other funded sites. This webinar shares information about the Model Practices Framework and includes case examples that demonstrate these model practices and partnership capacity in action. 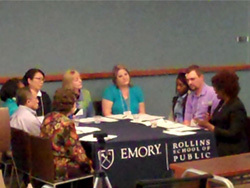 This event was embedded in a live meeting being held at Emory. 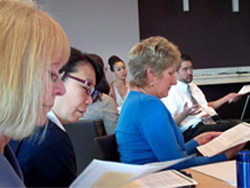 Both Kirsten Peachey and Shirely Fleming are featured panelists in this webinar.